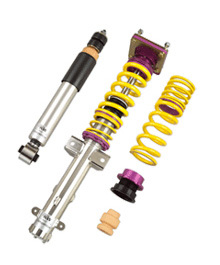 Looking to rake your Golf R32 IV suspension to the next level at the track? You've tried the rest and now KW is offering you the BEST! Clubsport is getting more and more famous world-wide. Therefore, KW has decided to develop a new product line – KW Clubsport. This new product line is distinguished by motorsport applications for race track and road use with ideal performance.